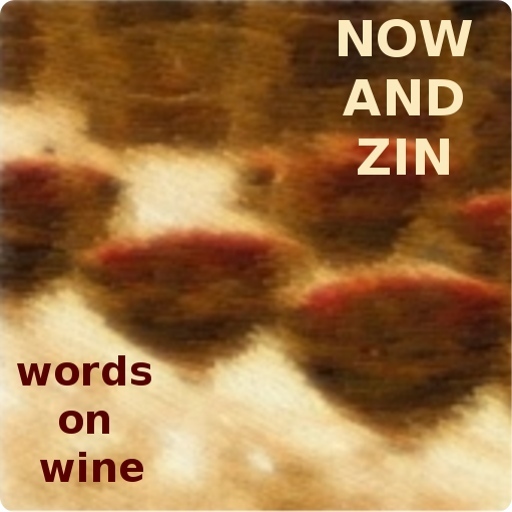 Lately, Now And Zin has explored France’s Beaujolais region, and the crus that lie within it. This time, we sample a bit of the Chénas cru. Chénas is the smallest of the ten Beaujolais Cru regions. Saint-Amour is to the north, while its neighbor to the south, Moulin-A-Vent, now possesses many of the vineyards once claimed by Chénas. Oak trees were once predominant in the Chénas countryside, hence the name. A chéne is an oak forest, perhaps one that became French oak barrels for wine. Wines from Chénas are prized and said to contain aromas of roses. The wines from good vintages are thought to age well for up to 15 years. 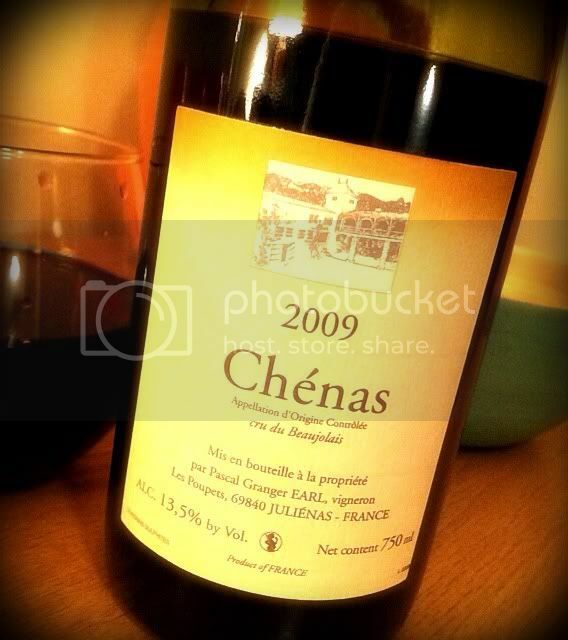 As with the other red wines of Beaujolais, Chénas wines are made from 100% Gamay grapes. The wine I tasted was a 2009 Chénas by Pascal Granger, a vigneron whose estate is located in the Juliénas Cru, but extends into Chénas. His wines are imported by Rosenthal Wine Merchant of New York, a company which likes to deal in artisanal wines "produced in as natural a manner as possible," according to the importer information on the back label. "The Domaine Pascal Granger is located in the hamlet of Les Poupets within the village of Juliénas in the heart of the finest sector of the Beaujolais district. This estate has been in the Granger family for over two hundred years, dating to Napoleonic times, and has passed from father to son continually. The domaine encompasses 14 hectares with vineyard holdings in the home village of Juliénas and extending through the neighboring villages of Jullié, Chénas, La Chapelle de Guinchay and Leynes. All harvesting is done manually and treatments in the vineyards are minimal with weed-growth tolerated between the vines." Chénas constitutes the "smallest holdings of the estate. The vineyards are spread between the villages of Chénas and La Chapelle-de-Guinchay in the northern sector of the Beaujolais district. After a period of eight to ten days of fermentation, the wine is racked into vats until the following spring when it is bottled." The Granger Chénas is very dark. Light does get through, but just barely. The floral notes come across distinctly on the nose. There is an earthy element, too, but it resides beneath the flowers. This wine has a wonderfully refreshing acidity and a nice tannic structure, too. The palate shows a restrained blackberry flavor with an earthiness riding over it.